Michael Graham, CFP® : John Graham & Associates, Inc.
Michael Graham, CFP® is committed to helping you achieve your financial goals. An alumnus of Loras College in Dubuque, Iowa, Mike obtained his securities licensing soon after graduation. 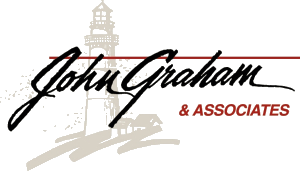 He then joined his father, John, at John Graham & Associates, Inc. as a registered representative. 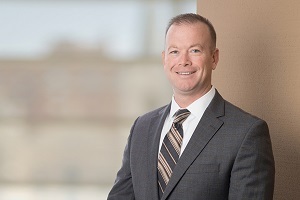 Mike completed the CERTIFIED FINANCIAL PLANNER™ certification program, and passed the accompanying board exam in the Spring of 2000. Mike works with individuals and businesses regarding their financial concerns. In many cases there is more than one solution for a financial need. Mike researches the possibilities, and provides clients with a diversity of custom-tailored options so that they may make the best decision for their situation. It gives Mike great satisfaction to be part of a company that has a strong customer-oriented mission. Values like integrity, personal accountability, open communication, and responsibility are priorities for Mike, and are the foundation of John Graham & Associates, Inc.
Mike was a driving force in the formation of Midwestern Securities Trading Company, LLC (MSTC). MSTC works with independent financial consultants and banks and credit unions, helping them build and manage their investment divisions. Mike was raised in Metamora, Illinois, where he now resides with his wife, Stacey, and sons, Aidan and Ethan. They enjoy keeping fit, studying Tae Kwon Do, spending time outdoors, bike riding, and attending church services together.